Bus Tours last approximately 50-60 minutes. 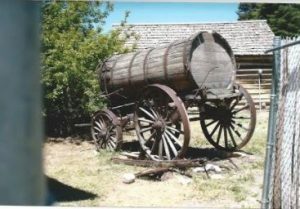 Participants will be on the bus the entire time and will receive a bus tour through parts of Ephraim, viewing historic sites, buildings, and homes that highlight the early history of the town and its Scandinavian settlers. 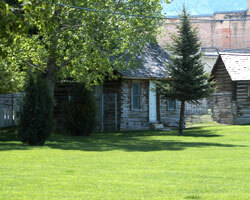 Examples include the dugout site of Ephraim’s first resident (Isaac Behunin), the old pioneer cemetery, pioneer cabins, and 19th century prominent homes. TICKET PRICE & PURCHASE LOCATION: Tickets can be purchased for $5.00 per person at the information booth. Young children who sit on a parents lap will ride at no cost (free). BOARDING LOCATION: The bus will be boarded at the northwest corner of College Ave (100 N) and 100 East. 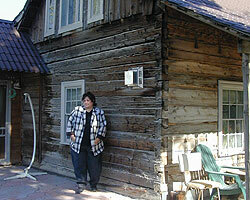 Martha Ol sen, outside what she describes as her “ancestral home,” a log cabin constructed around the turn of the century on Ephraim’s Main Street. 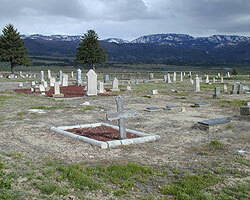 In early days, Ephraim pioneers carted their dead more than 10 miles north to Spring City for burial. That changed one day when a group was en route to bury one of their own. They got word that Indians were attacking, so they quickly buried the body in their tracks and returned home. Many other graves soon followed in the same location. There are more than 2,000 known graves at the old cemetery. The cemetery records were destroyed in a fire in 1877, however in the late 20th century, concerned citizens helped restore the cemetery, identify graves, and map grave locations. In 1901, someone decided the pioneer cemetery was too far from town to properly maintain. Joseph E. Anderson was given the assignment of purchasing 10 acres closer to town and laying it out. After that, many families exhumed their dead and reburied them at the new Park Cemetery. (65 N. 100 W). 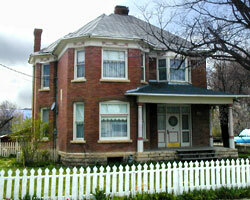 This Victorian style home was built in 1900. With its projecting front wing porch, and second story bay window it is a striking example of late 19th century architecture. It features a beautiful wrap-around staircase inside along with parquet flooring. Madsen had 8 children and was a farmer and carpenter. It’s thought that the staircase inside was inspired by Madsen’s carpentry work in repairing the spiral staircase in the Manti Temple. (46 W 100 N). 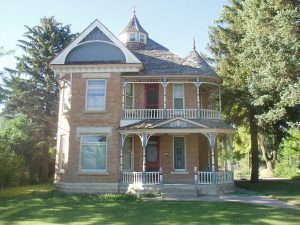 Considered one of the most beautiful 19th century homes in the valley, this Victorian style home was believed to be the first residence in Ephraim to have indoor plumbing and a furnace. Dorius Jr. was a prominent businessman who had it designed in 1897 with a roof turret, a wrap-around porch, and detailed with beautiful ornamental trim. It has seen many owners over the years and served many purposes, from Ephraim’s first hospital and doctor’s office, to its first public library and home to several Snow College presidents. 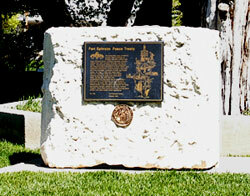 This monument marks a tree where settlers and Ute Indian representatives met to sign a peace treaty ending the Black Hawk War. Today the tree still stands but due to fire and time is no longer a living tree. 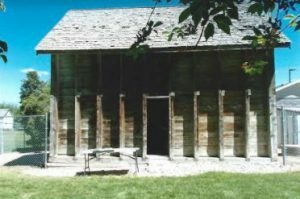 Cabins & Granary built by earliest Ephraim settlers are preserved in Pioneer Park. 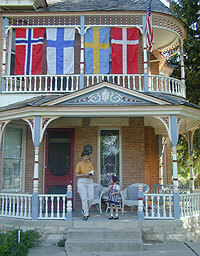 They are open for tours during the Scandinavian Heritage Festival.